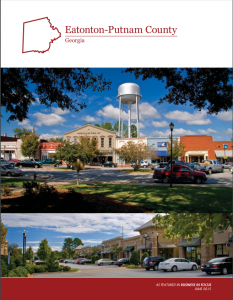 Recognizing the value of regional collaboration, the Middle Georgia Economic Alliance was formally established in 2012 with the goal of showcasing the competitive position of the region’s 11 counties and to enhance economic development opportunities in Middle Georgia by working together. The Middle Georgia Economic Alliance is comprised of the following counties: Baldwin, Bibb, Crawford, Houston, Jones, Monroe, Peach, Pulaski, Putnam, Twiggs, and Wilkinson. These counties are located in the center of the state, often referred to as the “heart” of Georgia. Being centrally located offers the strategic advantage of being equally close to a wider variety of resources for growth and prosperity. Planes, trains, automobiles, and the capacity of Middle Georgia’s transportation network is a key strength of the region. Being at the crossroads of the state’s 1,244 miles of interstate and highway routes, the region connects business to the state’s major cities, the southeast and to the nation. Wherever you are going, Middle Georgia’s Logistics capabilities can get you there. Connecting the dots with Middle Georgia’s roads, rails and runways makes getting to our unique communities easy. And once you’re here, we think you’ll find more than enough reasons to stay. We hope you enjoy this short video introduction to Middle Georgia and we invite you to come visit us.